A line of OEM quality, laser-grade ZnSe optics that can be supplied in a variety of configurations for various types of tattoo removal lasers is available from Laser Research Optics of Providence, Rhode Island. 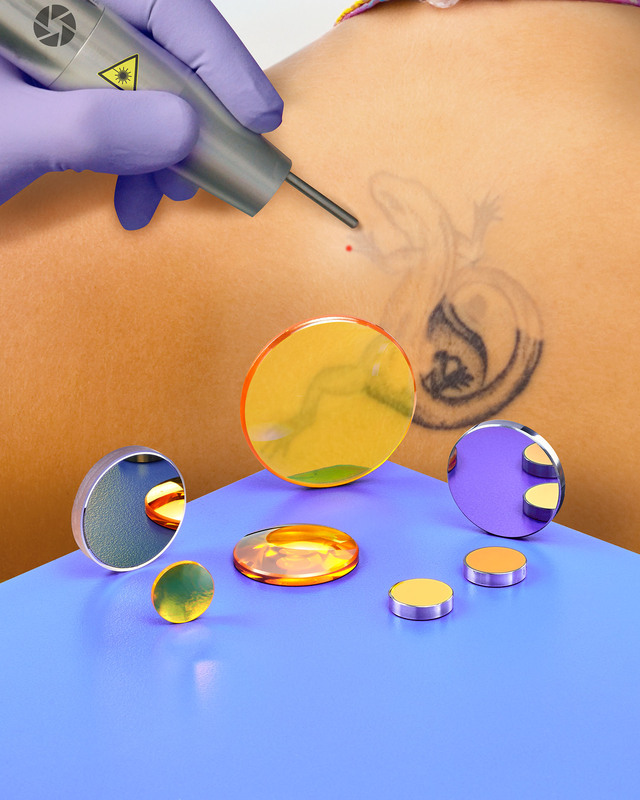 Laser Research Medical CO2 Laser Optics are optimized for 1064 nm and 1.06 µm for Nd:yag lasers used for tattoo removal and other dermatology procedures. Ideally suited for laser equipment OEMs, they are offered as ZnSe plano-convex and plane-parallel discs, output couplers, and mirrors manufactured to specification in 1/2” and 3/4” O.D. sizes. Available with dual-band and reflectance coatings up to 95% on each side, Laser Research Medical CO2 Laser Optics feature 40-20 scratch-dig surface finishes per MIL-O-13830 (20-10 one face on plane-parallel) and 1/4th wave at HeNe flatness and surface accuracy at 10.6 microns, with 3 arc-minutes maximum parallelism. Laser Research Medical CO2 Laser Optics are priced according to configuration and quantity. Price quotations are available upon request.